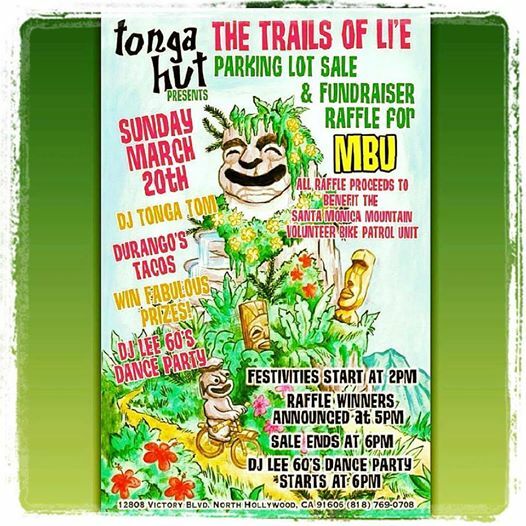 The Trails of Li’e Parking lot sale and fundraiser raffle for MBU All raffle proceeds to benefit the Santa Monica volunteer bike patrol unit. Come on out to this free event. DJ Tonga Tom playing through the day. Raffle winners announced at 5pm Win fabulous prizes!